In this image capture from City Council video, the Rev. Lois Dejean questions a zoning request in her neighborhood. Five years after the Gert Town neighborhood started collecting $404,000 for community renewal, the nonprofit organization dispensing the cash refuses to give residents an accounting of how it’s being spent, fueling suspicion that the lion’s share of the money is winding up in the pocket of the gospel singer who leads the organization. Gert Town got the windfall in settlement of a lawsuit against Thompson-Hayward Chemical Co., a now defunct pesticide maker blamed for years of health problems among neighbors of the messy Earhart Boulevard plant. 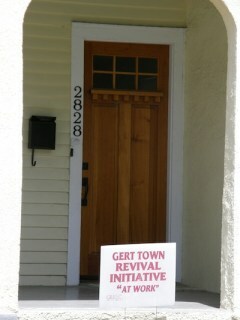 Though several non-profit groups vied for control of the money after the 1996 settlement, the Gert Town Revival Initiative emerged years later as the winner. GRI pledged to use the money to revitalize the community through block-by-block development, and as leverage to get more grants. Residents confirm that GRI has helped organize volunteers to gut Katrina-damaged houses and revive a neighborhood park. GRI also has written checks for paint and holiday baskets. But other than a $25,000 investment in a local eatery, residents contend that GRI’s principal expenditure is the salary collected by its executive director, the Rev. Lois Dejean. A broad-brush, one-page accounting of GRI expenditures during the five years between April 2005 and May 2010 shows a total outlay of $291,210. Of that amount, well more than half — $167,076 — was for “salaries,” according to the document which was provided to The Lens by a former GRI board member on condition of anonymity and also by city officials. Other documents list Dejean’s annual take variously as $40,000 or $45,000, which would come to more than $200,000 over five years. In addition, the five-year accounting shows GRI paying $22,300 for rent on a portion of the residential structure in which Dejean makes her home. By contrast, the outlay for “Katrina Assistance” comes to $1,090 over five years; the “Toy Giveaways” total $10,484, or about a third less than GRI spent on phone service ($15,527) during the same period. The Rev. Lois Dejean owns the double on Broadway that houses the offices of the Gert Town Revivial Initiative in one half, while she lives in the other -- and collects rent from the organization. A line-item spending budget for 2006-07 was provided to The Lens by the former GRI board member. Requests for similarly detailed spending records for other years triggered a round of buck passing. Dejean directed inquiries to Xavier University, which served as GRI’s fiduciary agent until May 2010. Xavier’s then-spokesman Warren Bell cited a confidentiality clause in the GRI contract. Release of any documents requires written consent from GRI and the City of New Orleans, according to that cooperative endeavor agreement signed in 2005 by Dejean, former Mayor Ray Nagin and Xavier President Norman Francis. Mayor Mitch Landrieu’s spokesman Ryan Berni provided general information about Gert Town but bounced the ball back to Dejean when asked for spending reports. Release of financial records requires her consent, Berni said. Dejean rebuffed repeated requests to look at GRI’s spending records. A non-profit or charity is required to make its tax returns available on demand. Guidestar.org, a website that compiles IRS records, shows no filings for GRI since 2005. Dejean did not respond to inquiries about about any tax records filed since that date. Failure to file 990’s, as such tax documents are called, can cost a group its non-profit status and the tax deduction available to donors who fund it. Following inquiries by The Lens, City Hall plans to take a closer look at GRI. “We have scheduled a monitoring visit to review their program,” Deputy Mayor Cedric Grant said Thursday. Other city leaders say monitoring is long overdue. City Councilwoman Stacy Head, whose district includes the Gert Town area, said in an interview with FOX8 television news, a partner of The Lens, that she has been unable to determine how GRI’s money was spent, and she blames the administration’s housing department for its scant oversight. Head said GRI’s handout was just a portion of the $7.5 million the city’s previous administration doled out as Nagin left office. Dejean has a track record of evading scrutiny, said Ruben Detiege, a community activist associated with the Gert Town Community Development Center, a non-profit that receives Thompson-Hayward settlement money from a separate $1 million endowment managed by the Greater New Orleans Foundation. “When I went to a (GRI) board meeting, they asked me to leave and said it wasn’t an open meeting,” Detiege said. John McKnight, another former GRI board member who now heads his own organization, the Gert Town Economic Enterprise Redevelopment Corp., said GRI’s financials remain shrouded. “That money was placed in Xavier’s hands to be administered. From that point on, we have no record on it. We have tried to get the actual expenditures of this organization and we have not been able to get through the door,” he said. What can be determined about GRI’s spending strikes some in the community as penny-ante tokenism. Others accuse GRI of wheel-spinning that yields no visible progress. When The Lens asked Dejean for details about the money, she took offense. “You’re not coming in to say, ‘What can we do to help Gert Town. But [you’re asking] ‘What have you been doing, and how have you spent this?’ That, to me, is insulting,” she said. Legal fees and expenses gobbled up $25.2 million. Individual residents got $26.3 million, or $6,658 a piece. $1 million went into the endowment managed by the Greater New Orleans Foundation, with interest – of as much as $69,000 annually – allotted to newer non-profits in the area, the Gert Town Community Development Center among them. The city got $500,000 to revitalize Gert Town, of which $96,000 financed a study by Columbia University intended to help residents make spending decisions. In 2005, the city began releasing the $404,000 that remained. GRI had received $116,442.62, plus $26,593.87 in interest when, in February 2007, questions about spending prompted a former GRI board member to form a rival non-profit called the Gert Town Enterprise Economic Redevelopment Corp. The city urged GTEER and GRI to join together in developing a plan for spending the money not already awarded to GRI. When agreement on a combined spending plan could not be reached, the city agreed to review rival spending plans. Drafted in 2007, GRI’s spending plan included surveying Gert Town residents to determine their needs, giving cash to needy families, rebuilding area businesses and homes, and organizing a clean-up of the area’s major playground, Norwood Thompson Park, which was heavily contaminated by pesticides. Other goals included cleaning up Mary Church Terrell School. City officials said GRI’s goals were “unrealistic” given the amount of money available. The city further noted that the costs of rebuilding homes and businesses weren’t clearly outlined, and that more exact criteria needed to be set for families applying for cash. Nonetheless, GRI got the nod to take charge of the remaining $314,151.25, for a total allocation to Dejean’s group of $404,000 plus interest. Only some of GRI’s goals have been met, Dejean concedes. In addition to post-hurricane help and the holiday food and toy giveaways, Dejean said she worked to get the Thompson Hayward site cleaned up and partnered with KaBOOM, a charitable non-profit, to get new play equipment for Norwood Thompson Park. “We were the only need-organization that worked to get Thompson-Hayward cleaned up. We were the only need-organization that had four square blocks identified to do with Gert Town that was taken from us after Katrina. Those are the stories out there. That’s not hidden stuff,” she said. Keith Lassair of Edinburgh Street said that Dejean, who is his choir director, gave his mother money to help her paint her house. Juanda Jones, who lives a block down from GRI’s headquarters on Broadway, said Dejean has helped “revitalize the community.” In particular, Jones cited GRI’s help renovating Ms. Gloria’s Kitchen, a nearby Broadway eatery that Dejean counts as her organization’s main venture in economic development. Dejean said Ms. Gloria’s was chosen to receive funding because of its central location and record of service to the community. Documents that Dejean provided to the city say GRI matched a $25,000 donation to Ms. Gloria’s to jumpstart an overhaul that ultimately cost $137,000, the bulk of it from national funders. The owner of Gloria's Restaurant said she'd like an accounting of the money that was spent on her behalf. 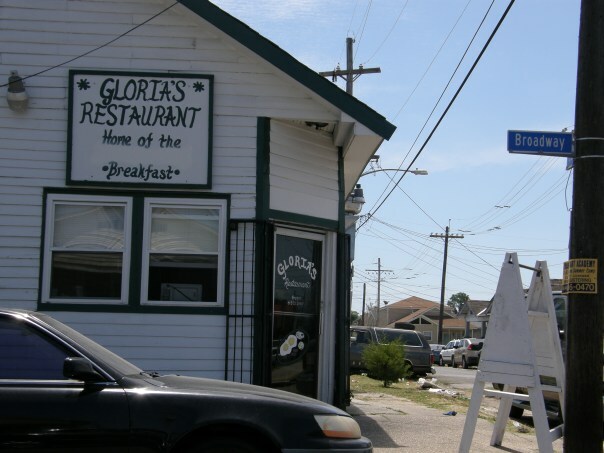 Gloria Caulfield, owner of Ms. Gloria’s Kitchen, told FOX8 television that $25,000 was from a private donor who funneled the money through GRI to qualify for a charitable tax deduction. Caulfield declined to identify the donor, saying she had promised confidentiality. The bulk of the money for the restaurant was from the CITYBuild Consortium of Schools, a national collective of university-based programs that was active in post-Katrina New Orleans. The CITYBuild website list Ms. Gloria’s among completed projects, and lists GRI as a collaborator in the project. Caulfield said Dejean was helpful in securing CITYBuild’s support. “She held some money for me that was donated to me, $25,000,” Caulfield said of Dejean. Dejean claims GRI donated another $25,000 match the private donation, but Caulfield says she doubts the expenses Dejean incurred — floor tile and wood paneling, according to Caulfield — could have come to that much. “If she would have matched the donation with $25,000, I would have had money left over,” said Caulfield, adding that she looked forward to the city’s review of GRI spending. In addition to their questions about GRI’s shrouded expenditures, some residents complain that Dejean can be vindictive and manipulative in her dealings with the community. Michael Dezura said a sense of community commitment inspired him to buy an abandoned grocery store on Broadway that was a regular haunt for drug dealers. Dezura wanted to turn the former store into a literacy center for neighborhood children, and base his investment business there. But when he went to Dejean for support in securing the necessary zoning change, she signaled that her backing would cost him. Dezura said Dejean asked him a second time for money, and when he continued to refuse, she went before the City Council and, in Dezura’s words, “just cut up” with a rant that attracted the attention of a security guard. The council eventually approved the zoning change for Dezura, as was recommended by the City Planning Commission. Dejean did not respond to phone calls and hand-delivered notes from The Lens seeking her version of the zoning fight, Dezura’s claim that she demanded money, and questions regarding the openness of her organization’s board meetings. Dezura maintains that he spoke with Dejean once over the phone and in person, and that he helped renovate the house that is both Dejean’s home and GRI’s official headquarters. Last week, Dejean denied any contact with Dezura: “I never talked to him. He is a garbage-mouth liar,” she told FOX8. Asked again for details of GRI spending, she agreed to reveal the “categories” of the organization’s expenditures, but told the television station it would take her some time to produce the information. Dejean also ignored inquiries by The Lens about GRI’s tax filings. Asked about the filings, lawyer Tracie Washington, a member of the GRI board, referred a reporter to Dejean, who remained unresponsive. The 2005 tax return was prepared by Burton and Company, LLC, an accounting firm that is listed as inactive by the Secretary of State’s website. Efforts to reach Gerald Burton, who signed the return, were unsuccessful. Update, 11:34 a.m.: The general counsel for the Division of Administrative Law informed The Lens early Tuesday morning that The Knowledge Garden had requested a continuance of their hearing late Monday evening. As of 9 a.m., Knowledge Garden officials were in a phone conference with the division to set a new hearing date.